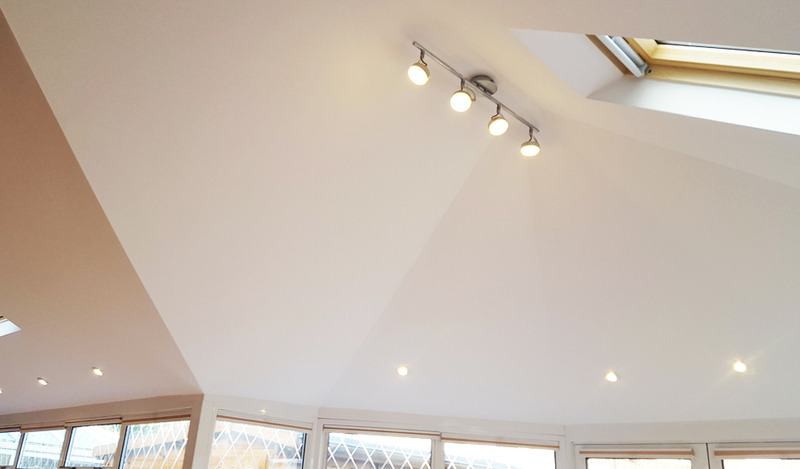 Having an insulated ceiling is the most cost effective solution for enabling your conservatory to be transformed into a usable room all year round. 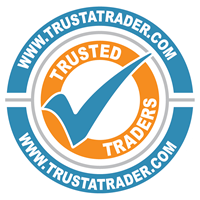 We pride ourselves in our excellent workmanship, and all of our plaster finish ceilings have a 5 year guarantee. Plaster finish conservatory ceiling insulation can give your conservatory a homely feeling of warmth in the winter while retaining the bright and open space of the room during the summer months. A plaster finish ceiling will also make it appear as if your conservatory is a room that is fully integrated into the house, not just an added attachment – we will match the appearance of the plaster to that of the rest of the house so that the decor will match seamlessly from one room to the next. 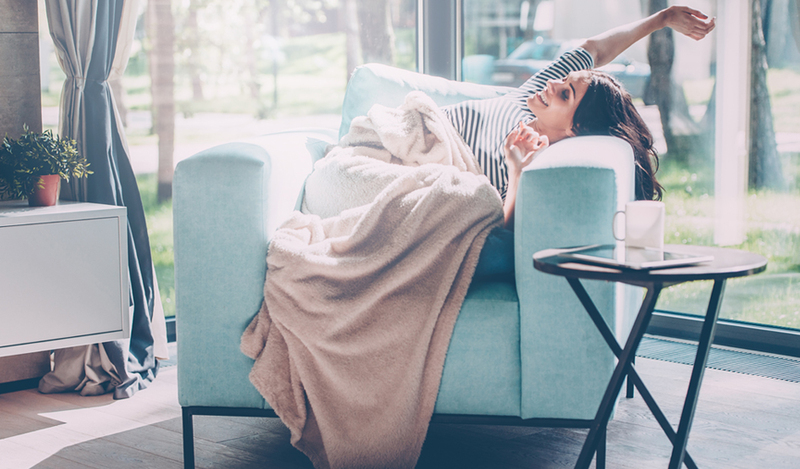 Your conservatory can become a comfy and cosy living space all year round, no longer extremely hot in the summer or bitterly cold in the winter. How do we install your insulated ceiling? 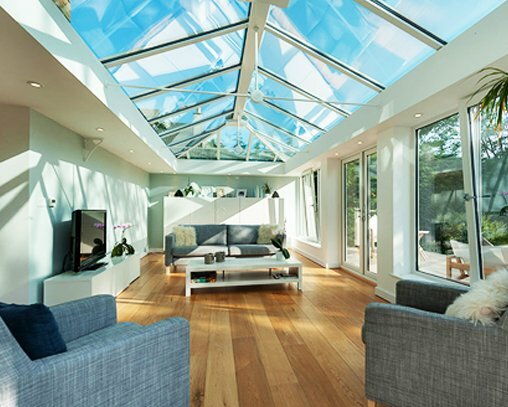 There is no removal of the original glass or polycarbonate roof meaning there is minimal fuss and mess; the fully insulating panels are installed inside your existing conservatory roof to add a protective layer for effective climate control. The insulation panels consist of a multi-layered, extremely thermally proficient material that has a U-value of just 0.2, meaning that the heat loss through the material is at an extremely low level. 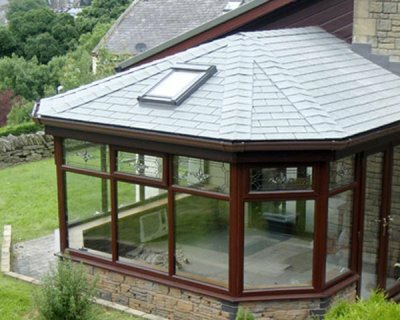 Despite installing a layer of insulation and adding a plaster finish, you will still retain the original vaulted shape of your existing conservatory roof and lose very little ceiling height. The retaining of the original ceiling height means that structurally your conservatory will be changed very little, however, the addition of the insulation layer will create massive beneficial changes for the whole room. You will no longer suffer from sun glare, faded furniture and stifling heat in the summer or freezing temperatures, dying plants and deafening noise from the rain in the winter as the noise and climate inside your conservatory will now be expertly controlled by your conservatory ceiling insulation. 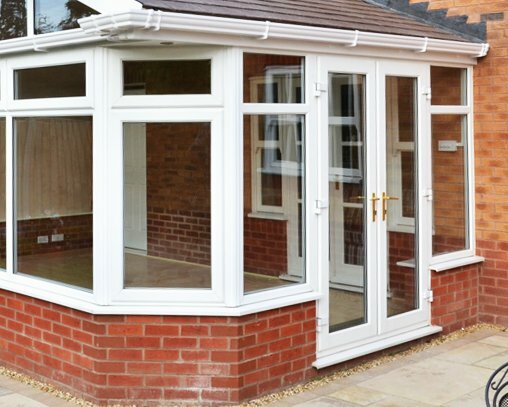 1: We begin the process by checking your conservatory for external problems or leaks. If any problems are found we will quickly rectify the problem before beginning the insulation process. 2: A treated timber subframe is installed directly onto the underside of your existing roof beams. Our professional installation technicians all have extensive experience in this process and ensure that every joist is perfectly cut and fitted. 3: Next, the insulated quilt is added. Made up of 19 unique layers, the quilt covers the entire underside of the conservatory ceiling. The insulation quilt is extremely energy efficient and completely compliant with building regulations as well as being fire retardant and certified. 4: A second treated timer subframe is installed which will provide the secure fixing for your choice of finish that will form the beautifully crafted internal ceiling. 5: Our installation team will complete the ceiling with a plaster covering, ensuring that the overall finish of the ceiling is smooth and fits in with the rest of your home. You then simply have to wait for the plaster to dry before being able to paint your new ceiling! 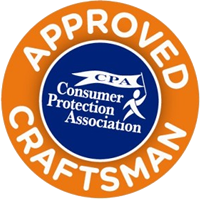 Many people install conservatories in their homes because they want an additional family room or a space to relax, not realising that because of the glass or polycarbonate roof the room becomes unbearable in the height of winter and summer and is often deafeningly noisy during heavy rainfall. 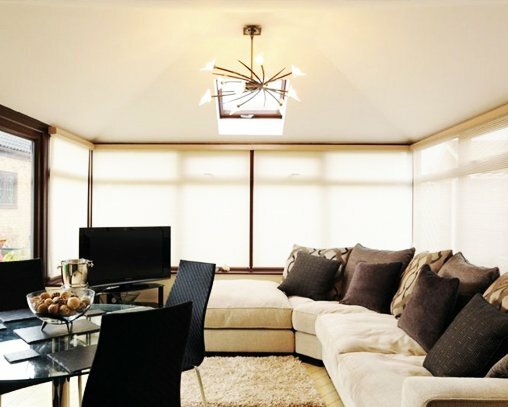 A plaster finish ceiling tops off your conservatory insulation perfectly by creating a cosy and comfortable living space throughout the year, not just for one or two months and also greatly reduces extremely loud rain sounds so that you can enjoy the space in peace and comfort.